Precise, 45 degree angles joining the corners give miter doors their high-end look. 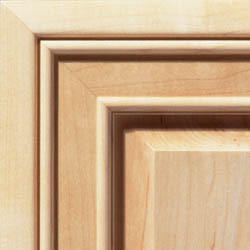 Mitered joint cabinet doors are made from five pieces: a panel, left and right stiles, and top and bottom rails. Doors using a miter construction type provide a high-end, elevated look to complement any space.